Home / Blog » What Complications Are Associated with Herniated Discs? 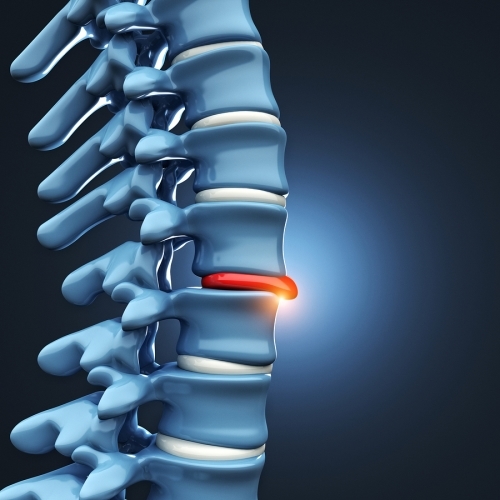 The complications associated with herniated discs depend on which discs are affected. If the herniated discs are located along your cervical spine—the portion that runs through your neck—you can experience neck pain and stiffness as well as shooting pain in your arms and hands. In some cases, you may also experience chronic headaches. For herniated discs in the lumbar spine, or lower back, in addition to back pain, it’s common to have pain, numbness, and tingling down one or both legs. In extreme cases, loss of bladder control can occur. Sciatica, a type of back pain that runs from the lower back down the buttocks and into one leg, is commonly associated with herniated discs in the lumbar spine.